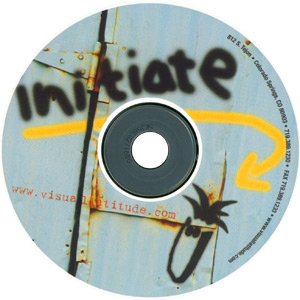 Visual Latitude was one of the design studios I worked for. As a self-promotional idea the Creative Director and I designed and built a Flash piece that showcased our portfolio and ability to do online animate work. My responsibilities included the design of the CD Artwork, title screen and the creation of three "intros" that would transition from the title screen to the portfolio. A second designer was assigned to do the portfolio section of the project as the Creative Director wanted as many creative hands as possible involved. I designed the look and feel of this splash screen and the design and build of the three "intros" at the bottom. Clicking this link will launch a SWF (Flash) file. 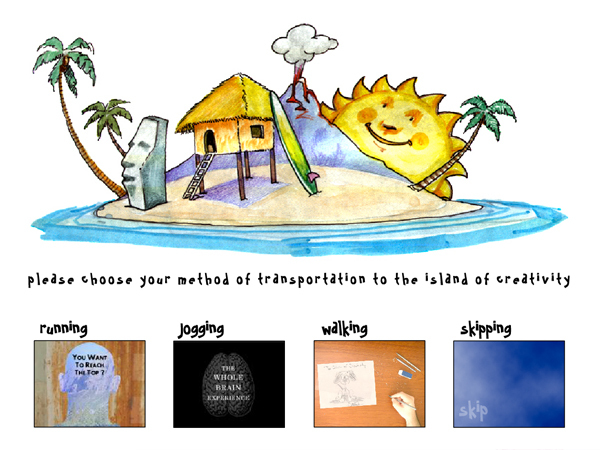 I was responsible for the design and animation of the three intros, "running", "jogging", "walking".